Opti-Guard pro is a series of coatings to provide superior protection and durability for all interior surfaces including leather, vinyl, and fabric, providing an easy clean surface by repelling stains and spills. 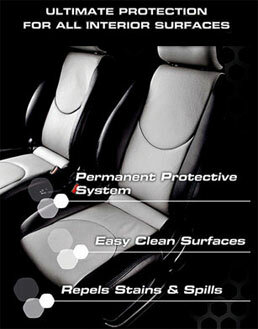 Premature aging, cracking, color transfer and staining of leather seats can be prevented by the application of Opti Guard Leather. It forms a hydrophobic layer on the interiors providing them with superior protection. It is a hybrid resin that forms a strong yet flexible layer on the interiors that not only gives water repellency but also high resistance to chemicals. All these features can be had without any difference in the looks of the interiors. The special matting agents maintain the original factory appearance. on the surface rolls off without wetting or staining the fabric. Also, once applied, the Opti Guard Fabric doesn’t come off while regular cleaning. 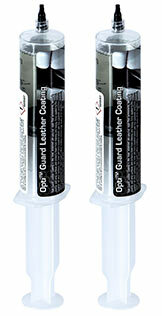 Teamed with Optimum Fabric Cleaner & Protectant, Opti Guard forms a permanent superior protection.